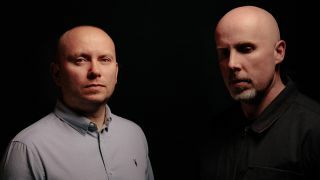 Pete Devereux and Mark Hill made their name as Artful Dodger, and were at the spearhead of the UK garage scene in the late ‘90s and early noughties. Their track Re-Rewind was a number two hit in the UK in 1999, and helped to launch the career of then unknown guest vocalist Craig David. Having lost the rights to use their original name, the duo are now operating as Original Dodger, and returned in 2017 with Millionaire, their first single in 15 years. Find Space, their most recent release, features MOBO Award-winning Shakka. With UK garage now enjoying a well-deserved renaissance, we picked Original Dodger’s pockets for five pearls of music-making wisdom. “This may seem obvious to most people but it takes a while before this becomes habit. This needs to become second nature to the point where you can’t even remember saving, but find that you did when your DAW crashes. As a producer and track maker you should also give them sensible descriptive file names, not 'Idea 1' or 'Bass Tune'! “We learned this the hard way when we made Rewind. After hours of work the computer crashed and corrupted the file and the only message on the screen was ‘end of file’. It was completely unrecoverable and it took us months to find the energy to redo the whole track from scratch. Luckily, we had made a rough recording on a cassette to remind us of how it went. “Keep your file structures organised. Label everything, and if you are a producer working on multiple projects, it's a good idea to have different directories for different artists - whatever makes the most sense to you. “Once a month, set an alert to remind you to do various updates - check everything is where it should be and take time to learn any new software you may have purchased. Also, once in a while it's fun to dive into something you haven't used for a bit and refresh yourself. “As a producer and songwriter it is absolutely vital to work fast and lay down ideas without worrying too much about the finer details. There is a finite amount of time when you can remain objective in what you’re doing before you lose that initial vibe. If you spend hours finding the perfect keys sound or bass or EQing a snare drum you’ll get bored of the track and won’t be able to decide if you like the overall tune or not. “These days, a lot of people work from home, and there are distractions all around! When you get in the zone during the creative process it really is an incredible place to be, but it’s equally important to step away to give your ears a rest and come back fresh, especially when mixing.